Extracurricular sports have long been promoted as a means to keep children healthy and active, but new research suggests that physical activity could also help kids stay focused and disciplined in the classroom. The study, published in a recent issue of the American Journal of Health Promotion, targets children from kindergarten to the fourth grade. 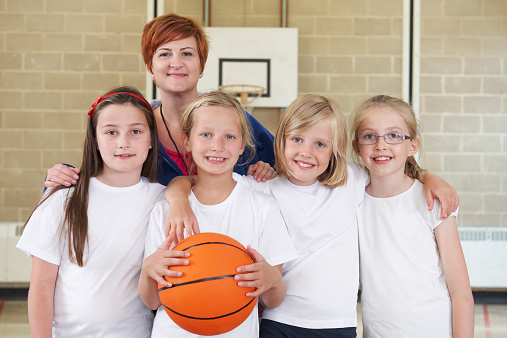 Researchers discovered that children who participate in organized sports are able to follow instructions and remain focused in the classroom by the time they reached the fourth grade, compared to children who did not partake in structured sports. The research team at the University of Montreal, Quebec analyzed data, taken from a Quebec Child Development study, on 2,694 children born in 1997 and 1998. They focused on two aspects: does participation in extracurricular activities in kindergarten foretell how much focus a child will have once she reaches fourth-grade, and does kindergarten “self-discipline” predict fourth-grade participation in sports? Researchers discovered that children who showed positive behavior in kindergarten were more likely to participate in sports by age 10. They also found that children who participated in sports in kindergarten had a higher ability to stay focused and alert by the time they reached the fourth grade. The study’s researchers suggest that organized sports are beneficial for young children because they help children understand the importance of responsibility; they further hope that these findings can lead to improved school activities and access to playgrounds and parks for children. Mcintosh, J., “Benefits of extracurricular sports extend into the classroom,” Medical News Today web site, July 3, 2015; http://www.medicalnewstoday.com/articles/296254.php.